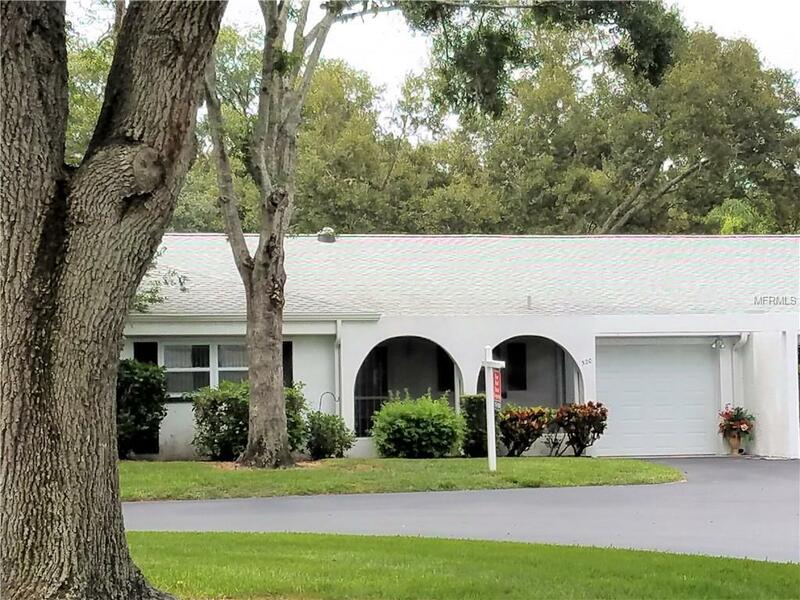 Wonderful villa with 2 bedrooms 2 baths plus a den, enclosed air conditioned Florida room and an oversized garage! Current owners have replaced all windows, air conditioner and the roof. Extra large bedrooms. Baths have been updated. Don't miss the shiplap accent wall and the solar tube for natural light in the living/dining room. Walk-in closets in both bedrooms and two additional storage closets in the front hallway! Allergy sufferers will love the tile flooring throughout the villa. Step out the back door to a large park-like area which is the location for one of two pools in the community. Storage cabinets line the walls of the spacious garage. This lovely villa is located in a tree shaded community on Tarpon Woods Golf Course. No limits on pet size in this community. Convenient to restaurants, shopping, Lake Tarpon, county park, library, Pinellas Trail and several churches. Additional Lease Restrictions There Are No Additional Lease Restrictions. Pet Restrictions No Limit On Number Or Size Of Pets. Listing provided courtesy of Your Real Estate Company Llc.